If that’s not an adage about publishing books, it should be. It’s no secret that the controversial statements (or perspectives which can be made to sound controversial) catch the headlines. Look no further than The DaVinci Code or Reza Aslan’s Jesus. Unfortunately, much of culture is predicated on the idea that the bigger the “splash” you make, the most important you are (*insert censored joke about Kim Kardashian here*). The same is true in scholarship, especially if you can write a book suggesting something even remotely scandalous about Jesus. 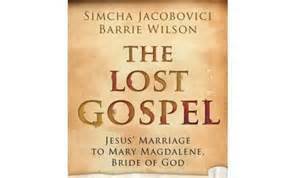 This type of stir is what Simcha Jacobovici and Barrie Wilson’s new book The Lost Gospel: Decoding the Ancient Text that Reveals Jesus’ Marriage to Mary Magdalene (New York: Pegasus, 2014) is all about. Fortunately, there are still sane scholars who can debunk such claims in the course of a few articles. One such authority is Richard Bauckham, longtime professor (now retired) at the University of St. Andrews. If you’re interested in learning why Jacobovic and Wilson are wrong and learn how to deal with the latest “Jesus and Mary Hype”, I would strongly encourage you check out Bauckham’s Seven Article Refutation of The Lost Gospel, helpfully posted over at Mark Goodacre’s NT Blog. Engage these articles, they are well worth your time.